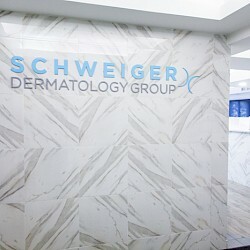 Joseph is an experienced dermatology physician assistant practicing at Schweiger Dermatology Group in Smithtown, Long Island. Joseph has been in the medical field for over thirteen years, including eight years as a physician assistant in dermatology and emergency medicine. Joseph is board -certified by the National Commission of Certification of Physician Assistants. Joseph received his masters of science degree in physician assistant studies from The State University of New York at Stony Brook. Joseph practices all aspects of dermatology, including pediatric and adult. He is well versed in diagnosing and treating various rashes, dermatomes, skin cancer, as well as performing surgical excisions and biopsies, and the treatment of acne and warts. He takes pride in his surgical skills including scar revisions, excisions of skin cancers and various growths with superb cosmetic outcomes. He is a member of the Society of Dermatology Physician Assistants.